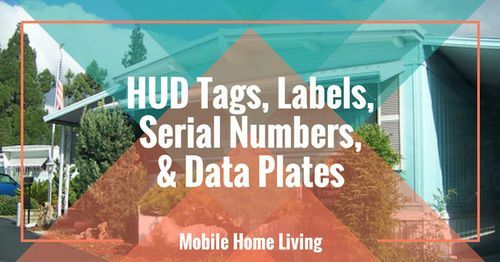 Every year the Manufactured Housing Institute gives out several new manufactured home design awards. 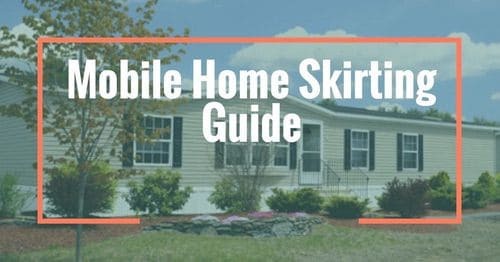 These awards range from the best merchandising of a manufactured home, the small (320-600 square feet) manufactured home design, all the way up to manufactured homes over 1800 square feet. 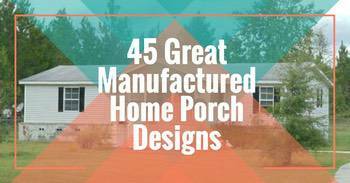 It’s a pretty big deal for dealers and designers to be recognized for their outstanding work. And every year we like to take a look at the year’s best new manufactured home design winner for the mid-size home. If you missed 2016’s winner, you can see it here: 2016’s Best New Manufactured Home Design Winner. For 2017 that design is the Kingsbrook Contempo Series Model by Champion Home Builders. 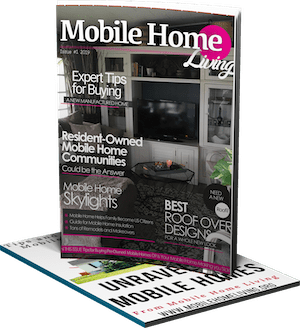 According to Champion Home Builders, this new manufactured home design was created to fill a demand for high-end lease community properties in Southern California. We think they did a great job! The first thing we noticed about this home was that it looked nothing like a traditional manufactured home. It features a style that more closely resembles a conventional stick built home with a gabled roof and eave overhangs. 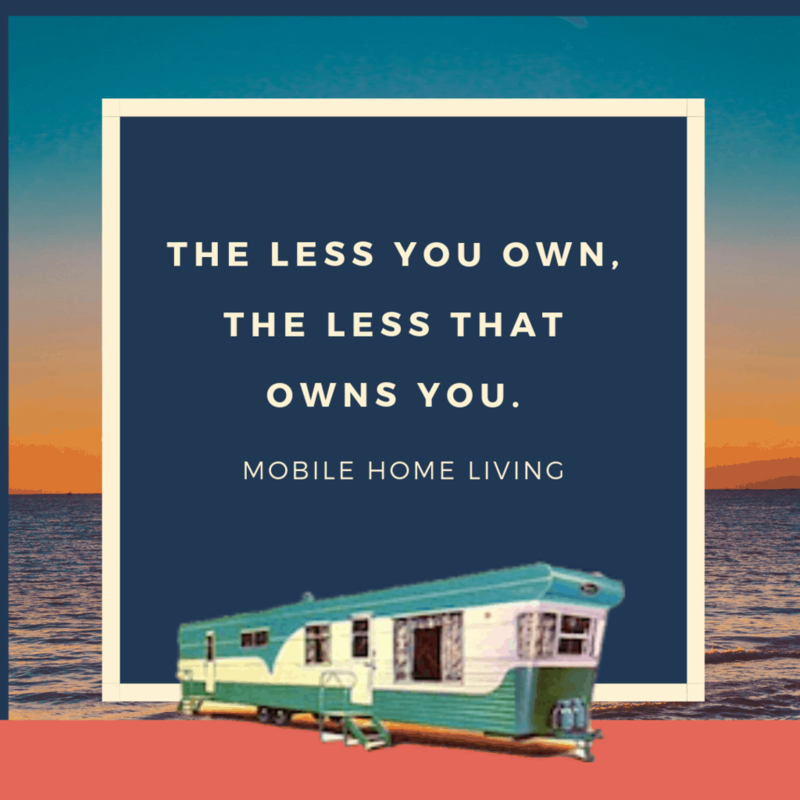 We have noticed a growing trend in manufactured housing recently in the new designs we have featured with mobile homes to be more square than a rectangle in shape, such as the LaLinda we featured a few months ago. I guess this is just the next step in the evolution of mobile homes! All the details of the interior of this manufactured home appear to be top of the line. 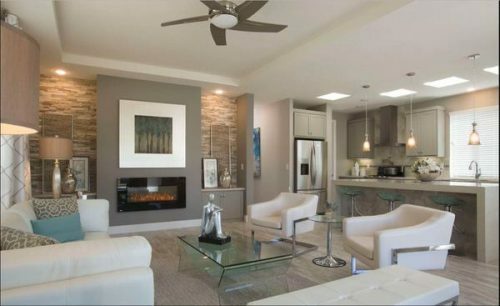 High-end appliances, quartz countertops, and a neutral palette are featured throughout. It seems a little plain to us, but that’s what people like, a blank canvas so that they can add their own personal style to a home. 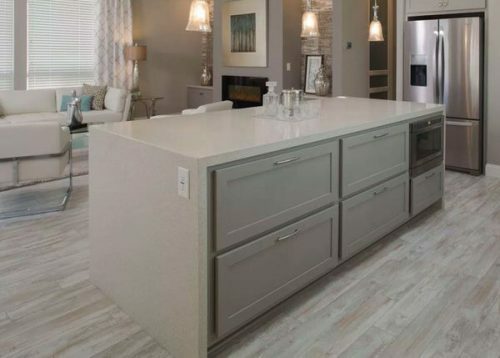 There are so many hot paint colors this year that would compliment the grey cabinets, it wouldn’t be hard to liven the space up! The decor in this home matches the neutral palette throughout. Very streamlined look for the kitchen. We are big fans of the pull out microwave shelf. The high windows let light in without taking wall space. 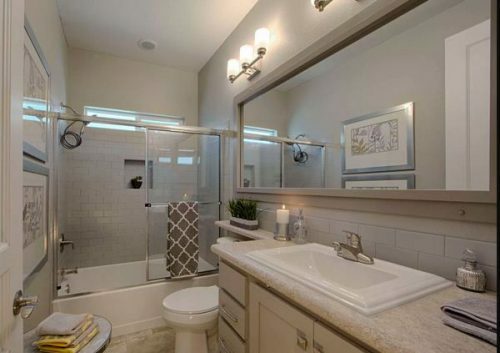 Square sinks are a feature in both bathrooms. 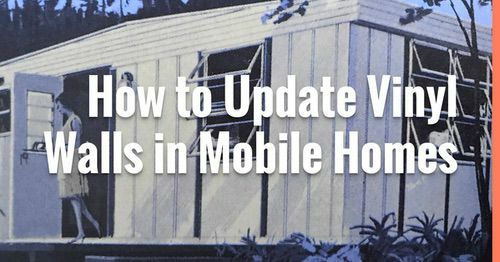 One thing that is becoming clear in the new manufactured home designs, it’s all about the options. For example, with this particular design, three upgrade areas affect the floor plan. The first is in the kitchen. 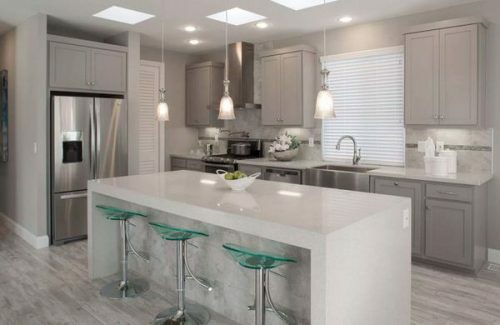 Skylights, trash drawers and an optional walk-in pantry off from the kitchen are all options. 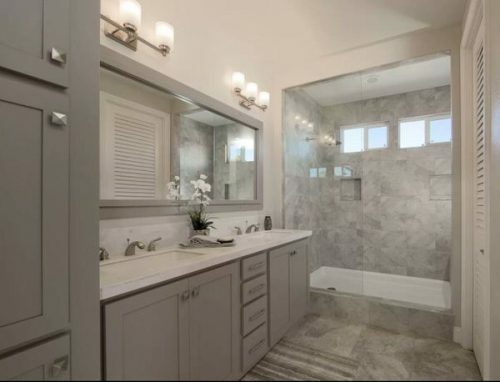 The second option is in the master bathroom. This gives the opportunity for a larger walk-in closet and standard shower or a rainforest waterfall shower and a smaller walk-in closet. That would be a tough decision, more storage space or bigger shower? Finally, there is an option for a third bedroom or an optional den. 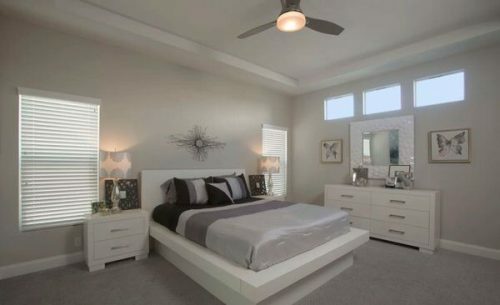 That would be a great option if you are an empty nester or if you just don’t need that third bedroom! 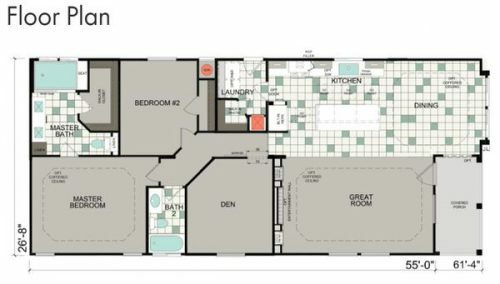 The optional floor plan with all the bells and whistles. 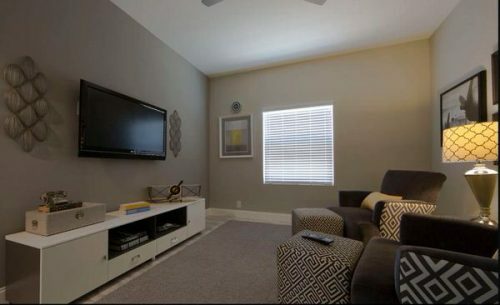 Take a look at this walkthrough tour that gives a nice look at the home! 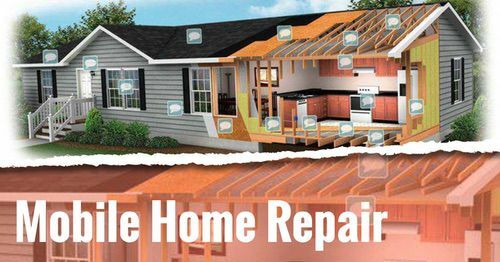 All in all Champion Home Builders did a nice job of filling a niche in the manufactured home market for the region they were looking to grow in. 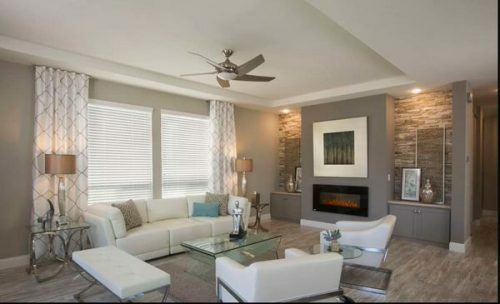 By using the latest design trends, such as neutral colors, high-end appliances, and options available to a potential buyer, they have created a manufactured home that is open and inviting but offers all the latest styles. We can see why they won the 2017 best new manufactured home design. What do you think? Is this the next big thing for manufactured homes? Comment below, we love to hear from our readers!